The California E85 program is picking up momentum with aggressive goals to increase production and distribution of ethanol as an alternative fuel source. Ethanol is produced by fermenting simple sugars and starches into alcohol. Currently corn is the most commonly used source of the sugars and starches. All cars can use ethanol in concentrations up to 10 percent. Flexible fuel vehicles can use concentrations up to 85 percent ethanol, a blend that is called E85. Ethanol reduces the amount of carbon monoxide produced as compared to conventional gasoline. It has proven to be a very viable alternative to gasoline throughout the Midwest where the majority of ethanol production and distribution has occurred. California has strong environmental concerns and emission laws. By the end of 2006, there were over 300,000 flex-fuels vehicles in California; but, only one public service station and four private fueling locations with E85 fuel (85 percent ethanol and 15 percent gasoline) for use in flex-fuel vehicles. As a point of contrast, Iowa had 72 stations and a projection for over 150 stations by the end of 2007. One of the reasons for the lack of E85 stations is the cost of transporting E85 from Midwestern ethanol plants. The number of ethanol plants in California is growing slowly. One of the four private sites is getting their E85 from a cheese factory in southern California which produces ethanol as a by-product. Network of fueling stations - California's goal is to build a "Hydrogen Highway," a network of hydrogen fueling stations along the highways and in the cities, by the year 2010. Add E85 pumps - In January 2007 Governor Schwarzenegger issued an Executive Order requiring oil companies to put E85 pumps in California gas stations. This will be a major contributor to the success of the California E85 program. Private/public cooperation - The state received a grant in late 2006 from the Department of Energy to build an E85 demonstration project. A joint effort between CalTrans (the California transportation department), Pacific Ethanol, General Motors and Chevron will produce ten E85 pumps in southern California, four pumps along Highway 101 between southern and central California and another pump in the San Joaquin Valley. Pacific Ethanol will supply ethanol to blend with commercial gasoline. Chevron will blend and distribute the fuel and provide the dispensing and storage equipment. General Motors will provide 50 to 100 E85-capable Chevrolet Impalas and Silverado pickup trucks to CalTrans. Build ethanol plants - Plans are in the works for the development of more ethanol plants on the west coast. 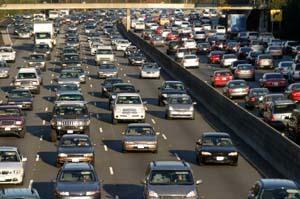 Research alternatives - California has a state ban on MTBE, an oxygen-boosting gasoline additive. This has caused increased interest in E85 as a replacement oxygen booster. Mandated blending - The California Air Resources Board has adopted a resolution that all refineries producing gas sold in the state will have to blend 10 percent ethanol into their gasoline. California places a strong emphasis on environmental concerns. It has a long way to go to build enough production and distribution facilities for alternative fuel to meet the needs of California drivers. But recent plans and governmental direction are moving in the right direction to meet the state's goals.